Once there was a dragon who was convinced he was TOTALLY TERRIFYING. One look at himself in the mirror and he nearly jumped out of his skin. He thought his neighbours were terrified of him too...So one day, the dragon decided to leave home. But on his journey he met a witch and giant who were also convinced they were TOTALLY TERRIFYING! 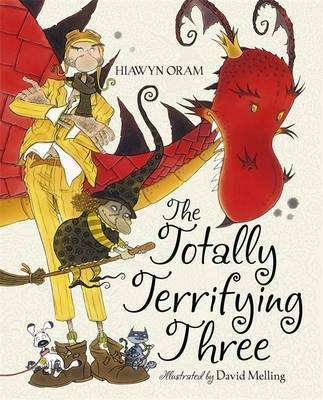 The terrifying three went along together until they met a toddler who showed them that they were not so scary after all!